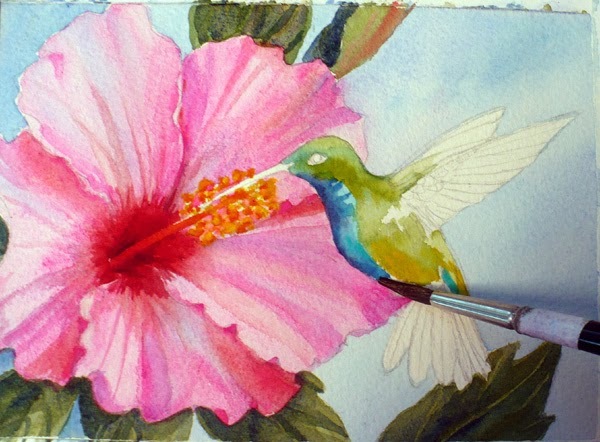 Here is a fun custom painting that I just finished - a pink hibiscus flower and a green-breasted mango hummingbird. The green-breasted mango is a tropical bird not common in the United States. I've never seen one in New England, although they visit southern Texas and have traveled farther north on rare occasions. So I had to do some research to find out what they look like. They are so pretty with iridescent black, green and purple feathers! 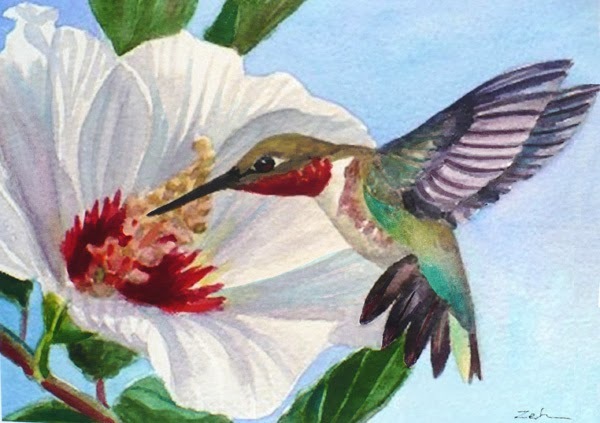 The client saw my print of a ruby-throated hummingbird and white hibiscus which you can see to the left, and thought something similar would make a perfect Christmas gift for his wife. She has a pink hibiscus that has been in the family for generations. It withstood a relocation to northern Wisconsin with difficulty, but finally bloomed again this past summer. 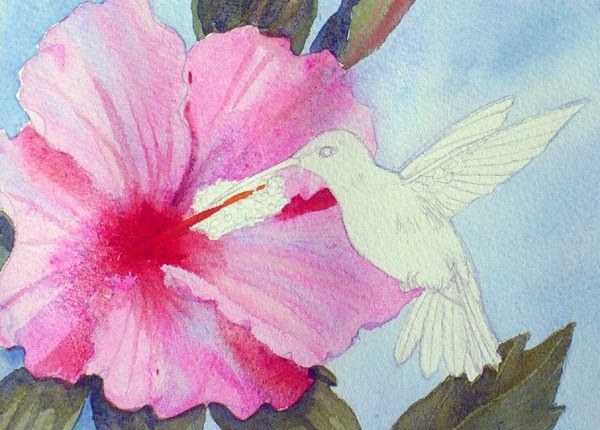 And she loves hummingbirds! 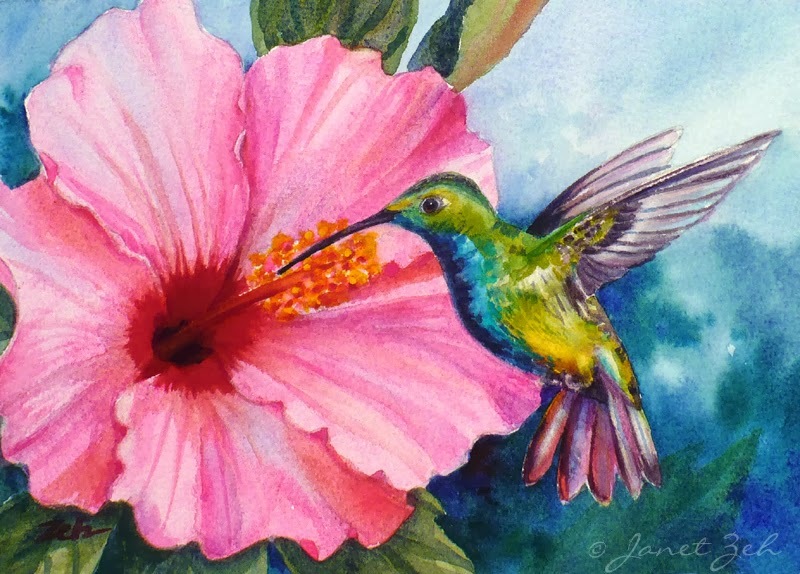 I name the painting "Jewels of Summer" because of the sparkling jewel-like colors. 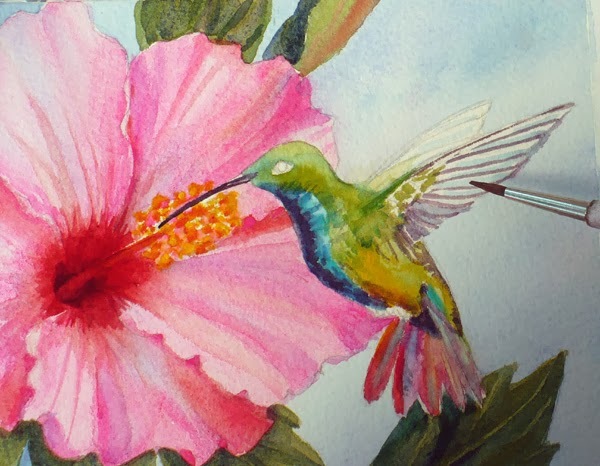 In the cold months it will remind the owner of warm summer days when the hummingbirds come to visit her pretty pink hibiscus flowers. 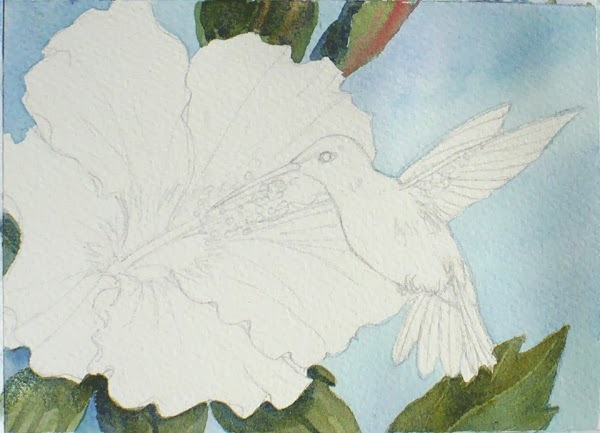 I'm happy to take custom orders. 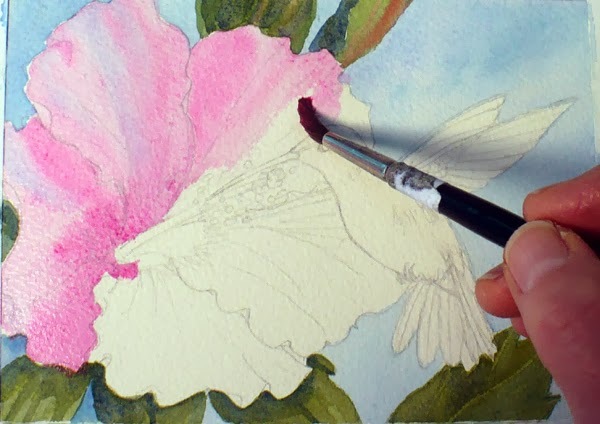 Contact me for a custom painting of your pet, home, garden, grand kids, favorite vacation spot or whatever your heart desires.